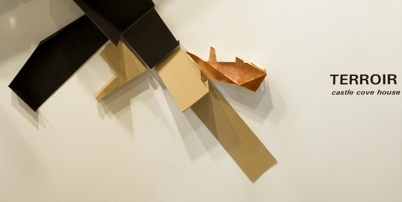 TERROIR's model installation has been featured in an article by John de Manincor about the Architecture 09 exhibition held at Boutwell Draper Gallery in February. de Manincor correctly applauds Boutwell and Draper for their initiative. We all hope that they will have considered this event enough of a success to repeat the exhibition in 2010.